It’s hard to get a sense of just how massive Super Star Destroyers are. These enormous warships operated by the Empire are just amazing. It’s tough to judge their scale based on what we have seen on the big screen. If you could see just how large they are, it would terrify you. This image will give you an idea of its true size. 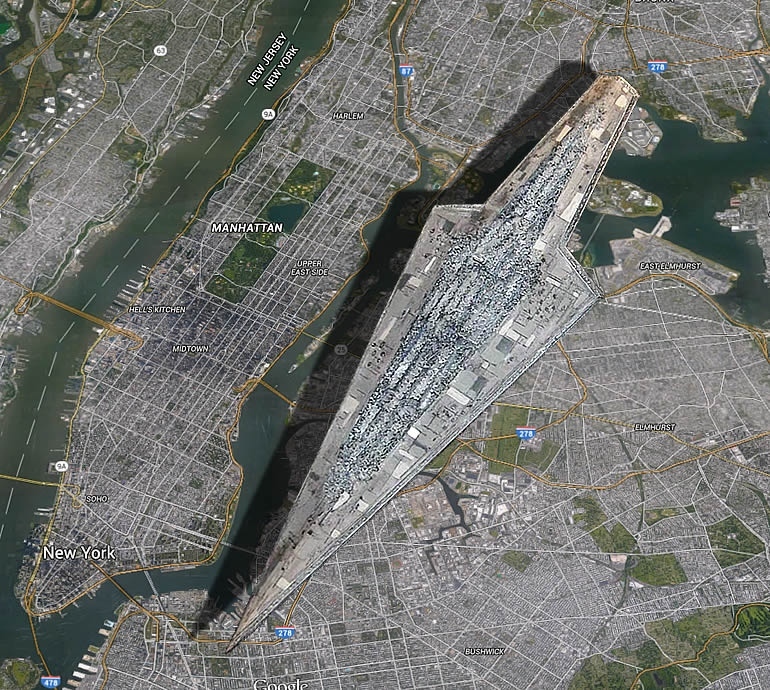 Redditor movielover278 created this helpful digital image overlaying a Super Star Destroyer and the island of Manhattan.. It is impressive. Most impressive. Do you see just how immense these ships are? Also, the people of Manhattan should thank God that one has never landed on them. Now you see why the Empire had such a stronghold on the galaxy.